As Managing Partner Scott Hadley retires and rides off into the sunset, we celebrated his 21 years with the firm and the legacy that he has left. He passes the torch to long-standing Partner Eileen Sheridan as she assumes her new role with the firm as Managing Partner. On Friday, June 22, BPW hosted a gathering of the team at MOXI, The Wolf Museum of Exploration + Innovation. 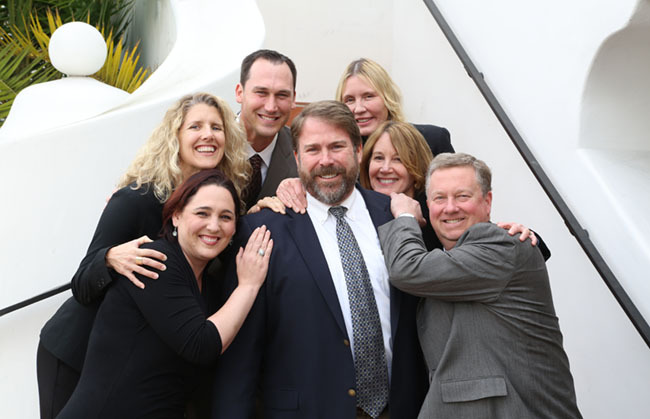 We reminisced good times had with Scott over the years and heard heartfelt words and stories shared by his partners, as well as his Business Solutions colleagues, who Scott has led and worked closely with for many years. We also had fun exploring, experiencing and playing at MOXI, an organization that Scott has dedicated much of his time to. We look forward to Eileen Sheridan taking the helm as Managing Partner. She is a well-established partner, steeped in both technical expertise and firm culture. As the founder of the estate planning department, she has been successful in the firm’s growth and deepening client experiences. Eileen joined Bartlett, Pringle & Wolf, LLP in 1987, becoming a partner in 1996. A skilled generalist who has worked extensively with individuals and businesses on a variety of complex taxation matters, Eileen has focused her practice at BPW on estate, trust and charitable planning. She is the founding member of the firm’s estate planning group, which is dedicated to assisting clients with both basic and sophisticated estate tax planning, as well as philanthropic goals. She is a long-standing member and past president of the Channel Counties Chapter of the California Society of Certified Public Accountants (CalCPA), an organization with over 800 local CPAs. Eileen is currently the chair of CalCPA’s statewide Estate Planning Committee and a CalCPA Council Member. Additionally, she serves on their Statewide Committee on Taxation.